Looks great but I always worry when I see the words "cost effective" on a high end GPU. Damn nice power array. I can't wait to see what Asus, Gigabyte, and MSI do with their customs. Easy, massive overclocks for anyone with proper coin? It's looking that way. I made the decision to hold off till April. If there's nothing to compete, I'll be grabbing some 7970 custom goodness. AMD played their cards right in letting board vendors do custom right out the gate. An nV fan sits extremely impressed..
Wonder why actually care for cost-effectiveness in a card that's meant to be expensive. I doubt they did that to cut the selling price though. An nV fan sits extremely impressed..
Amd is making it hard for me to hold out. Wanted to give the green team a go this time around but man thats a beast. 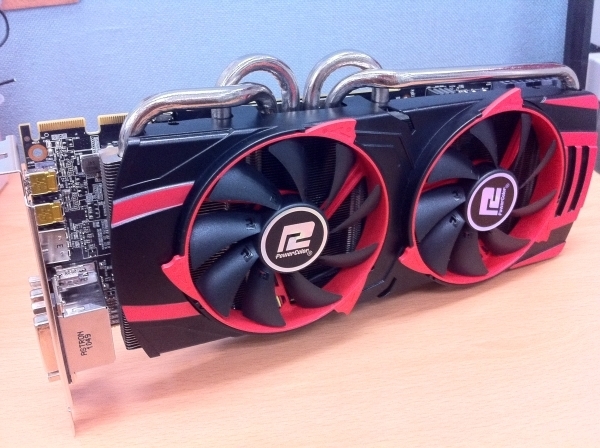 i really love full size graphic card with dual big fans paired with many heat pipes.